This cabin is on the eastern brow with scenic views to the eastern valley with picturesque farm land and the mountains in the back ground. 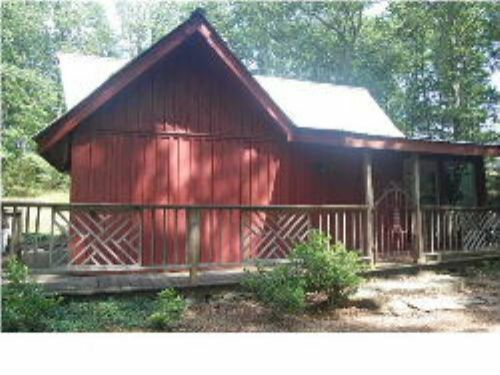 The cabin has 2 bedrooms, 2 baths, tile floors, a spacious kitchen and just enough elbow room. The cabin would make a great retirement home, weekend get away, or could be used as a weekend rental. The property has been in a rental program for several years with many return visitors because of the privacy, the breath taking views, and the close proximity to Chattanooga, Birmingham, and Atlanta.